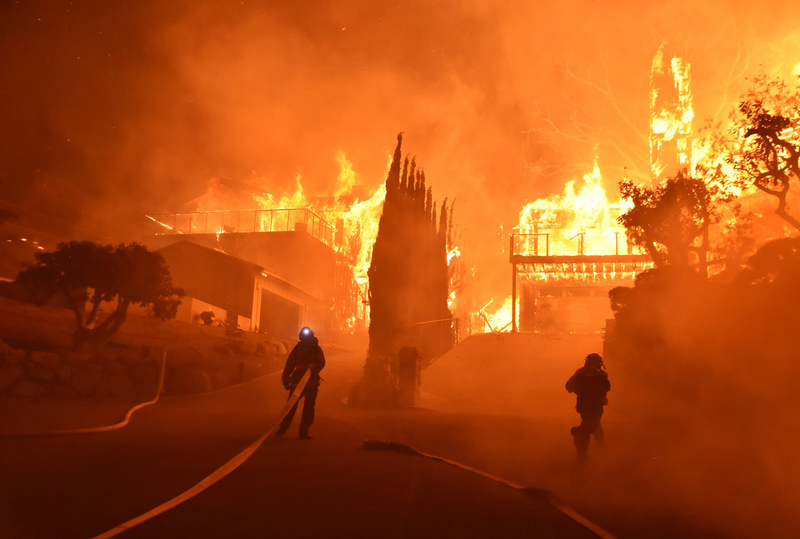 VENTURA, Calif. (CN) – A wildfire fanned by strong winds in Southern California grew to over 45,000 acres Tuesday, prompting residents of the coastal city of Ventura to flee as the fire burned into the city limits. The Thomas Fire started Monday evening at Highway 150 near Santa Paula, northeast of the city of Ventura, according to Cal Fire. The blaze exploded in size overnight with the help of strong Santa Ana winds. The Ventura County Fire Department reported one firefighter has been injured. As of Tuesday morning, the fire was at zero percent containment. California Gov. Jerry Brown issued a state of emergency for Ventura County on Tuesday morning. The fire has so far destroyed about 150 structures and threatens another 3,000. Many other buildings have been damaged in the fire area, according to the Venture County Fire Department. Mandatory evacuations are also up for residents of Casita Springs and East Ojai Valley. Meanwhile, in the San Fernando Valley a brush fire broke out in the Angeles National Forest and moved into Sylmar in Los Angeles County early Tuesday. The Creek Fire had burned 11,000 acres by Tuesday afternoon, according to the Los Angeles County Sheriff’s Department. The Creek Fire has prompted mandatory evacuations for areas north of the 210 freeway in Sylmar. 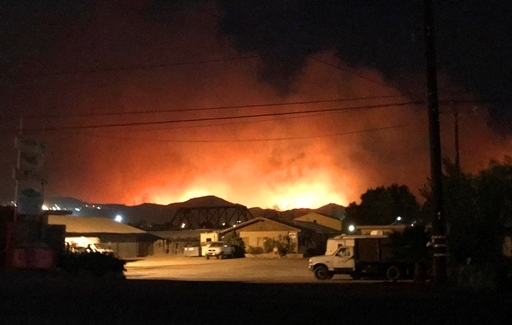 A voluntary evacuation is in place for Sayre to the Interstate 5-Interstate 14 split. 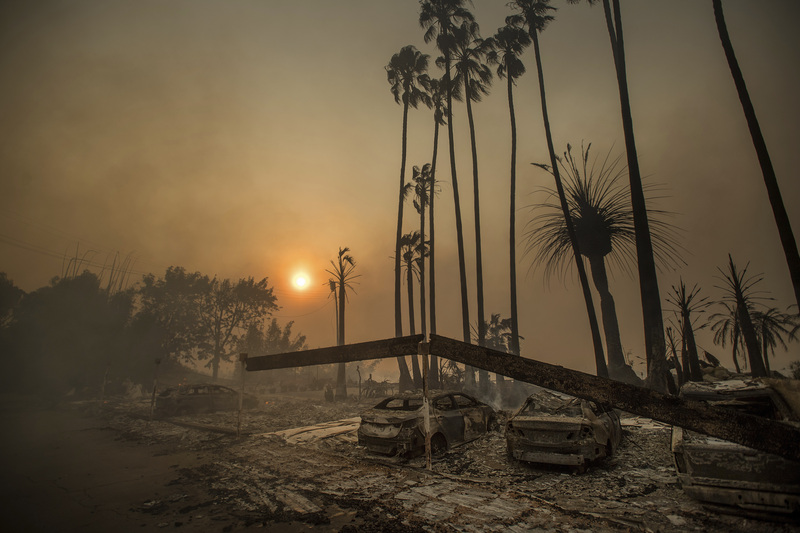 Los Angeles Mayor Eric Garcetti declared a local state of emergency as a result of the Creek Fire on Tuesday afternoon, which directs city departments to take all necessary steps to protect life and property in the area affected by the fire. The declaration also requests Brown to declare an emergency for the Sylmar area, so that state and federal assistance can be provided to the city quickly.